SI Yachts is proud to be the exclusive Prestige Yachts dealer for the Northeast. 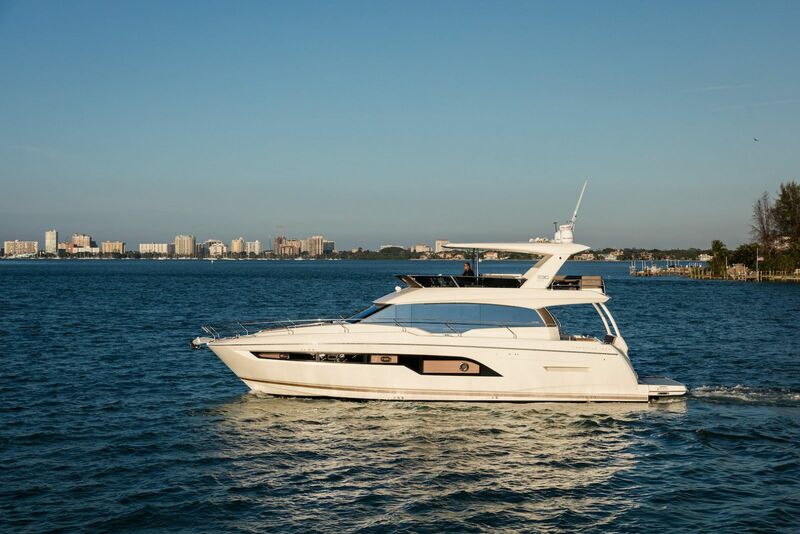 With model ranges for Express Coupes, Flybridge Yachts, and luxury Motor Yachts, there is a Prestige in stock at SI that will meet your boating and cruising needs. “Where the sea feels like home.” This statement from the Jeanneau factory embodies the essence of what it feels like to own a Prestige Yacht. The freedom, the openness, and the comfort of a Prestige create a feeling of both relaxation and exhilaration at simultaneously. 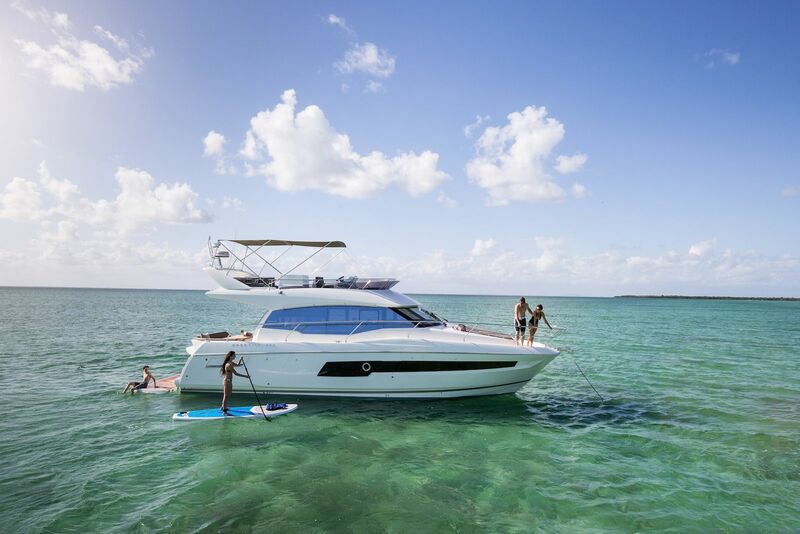 With more than 30 years of experience perfecting each new Prestige model, the end result is a timeless on-water masterpiece that will be endlessly enjoyed by your family and friends. Being on the ocean in a Prestige is a vacation from the everyday stress and worries of life as you cruise on the open water, beyond the horizon, and to wherever your dreams lead you. Staten Island Yacht Sales is honored to be the chosen dealer for Prestige Yachts in the Northeast United States. It was in 1957 that Henri Jeanneau, to which the famous Jeanneau Yacht Group would be named, created the now thriving shipyard. Having been a passionate powerboat racing enthusiast, Henri sought to create a fast yet stylish boat entirely made of wood. From the very first Jeanneau boat constructed back in those early days, the design has distinguished itself as timeless and with a certain “artisanal savoir-faire”. In the following year, Henri’s new model was among the first to adopt a new technology born from the Petrochemical Industry that would soon reinvent the marine industry into what it is known for today. This new fiberglass technology resulted in a much sturdier and more efficient boat and is highly regarded as the reason for Jeanneau’s early success. The very first Prestige Yacht did not make its appearance until 1989 when the Jeanneau shipyard collaborated with Garroni Design to develop a new style of luxury motor yacht. Born was the new Prestige 41, a model that immediately demonstrated the experience and versatility of the Jeanneau team of builders. The first 41, much like her older siblings today, showed a commanding style of luxury while also proving to be quite the seaworthy vessel. With the beginning of the new century, Prestige opened a 70,000-plus square foot facility in Les Herbiers, France that would help the continued growth of the brand as it unveiled the all-new Prestige 36 flybridge. 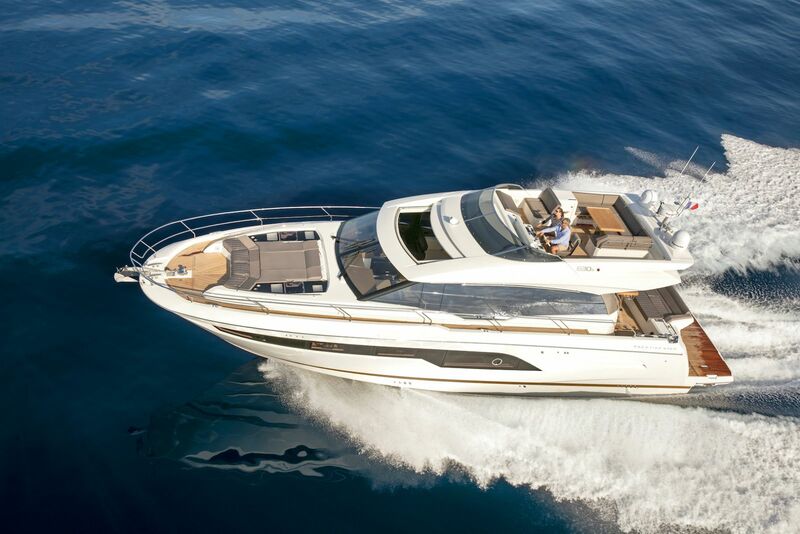 Today, the coupe-style motor yachts and popular Flybridge models are a stable of Prestige’s yearly line-up. Prestige offers an award-winning line-up today from 40 to 75-feet in the cruising and luxury motor yacht segment, including the Prestige 68 which one Motor Boat of the Year. The resin-infused molded hulls, structures, and decks are specially designed for pod propulsion systems which also for greater efficiency and speed. The weight on board is redistributed resulting in a softening of noise and vibrations as well as an improvement in fuel efficiency by over twenty percent. As a customer-focused sales, marina, and service center, there is no one better in the industry to help you find your new Prestige Yacht than Staten Island Yacht Sales. The Prestige range of motor yachts are truly live-aboard yachts designed to feel like you’re at home while cruising the sea. Every Prestige has more space inside a compact exterior resulting in a comfortable yet efficiently performing yacht. The Jeanneau factory is constantly working to improve on already successfully designs to continue to push the bar in the luxury motor yacht category. 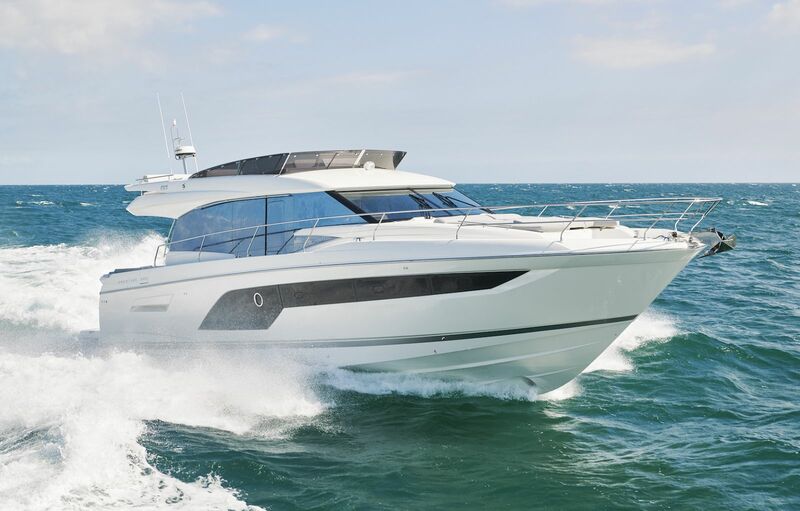 Prestige has now launched five models in their luxury motor yacht range including the 630 Fly and 630-S Sport Flybridge edition, the 680 and 680-S Sport Flybridge edition. 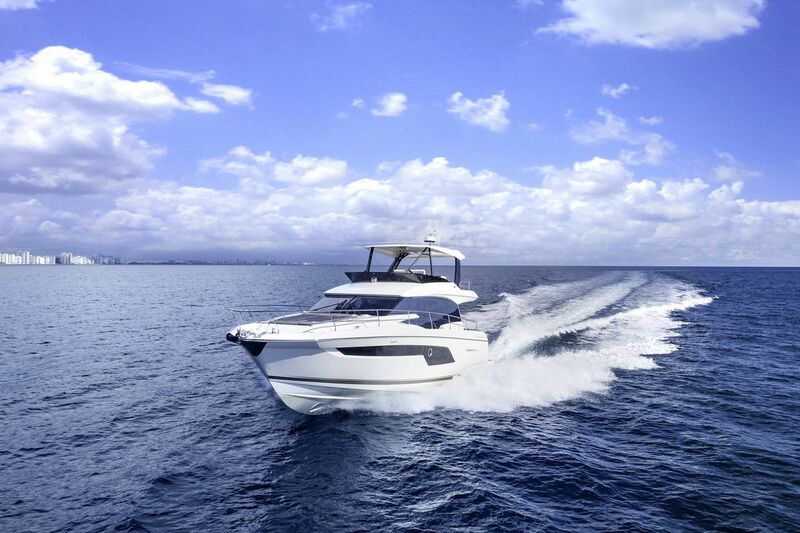 With the Prestige 750 Motor Yacht no longer in production, the largest of the Prestige models is the 680 Flybridge. With power behind IPS 1200 engines, the Prestige 680 offers high-performance while maintaining the comfort and living space that is needed for long-distance cruising. If you're planning a trip from Montauk the to South Florida, the Prestige 680 is an excellent choice for you as well as several guests. Nothing beats a yacht with a Flybridge when the weather is good. Whether just along for the ride or captaining the boat, the mix of fresh air, sun, and natural ambiance provide for a wonderful experience at sea. The Prestige’s unique layout and design concept feature luxurious materials that not only accent the brightness of a room, but also create a feeling of a generously-sized interior. It becomes immediately apparent relaxing on board one of the new Prestige Flybridge yachts that the artisans behind the construction of this wonderful machine are indeed creating yachts that will last timelessly. 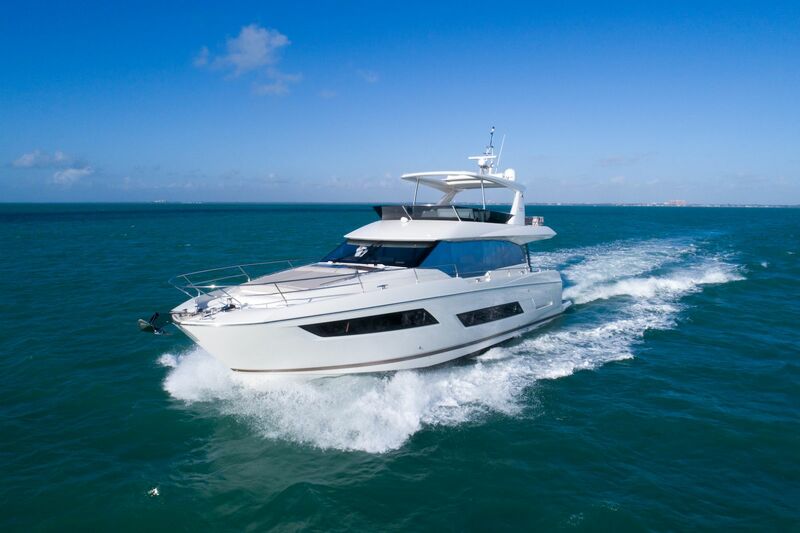 Prestige currently has five models in its Flybridge range including the 460 Fly, the 520 Fly, and the 590 flybridge. 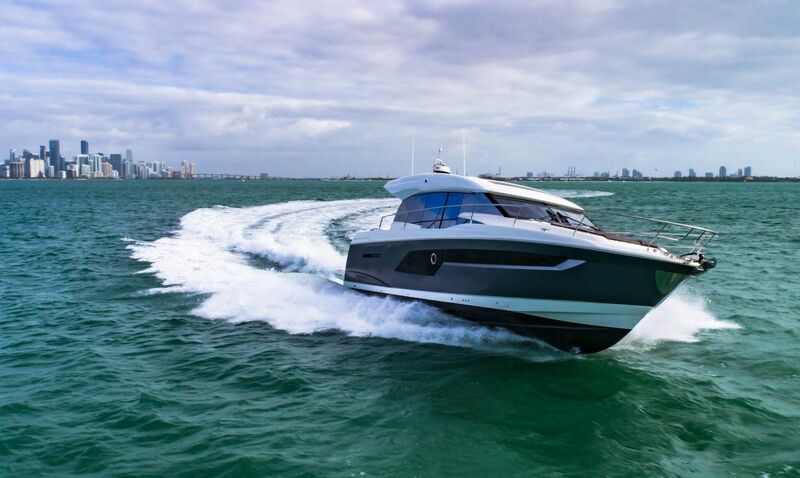 Read about the all-new Prestige 590 Flybridge in our article 5 Fun, New Yachts Making Their Debut This Fall. 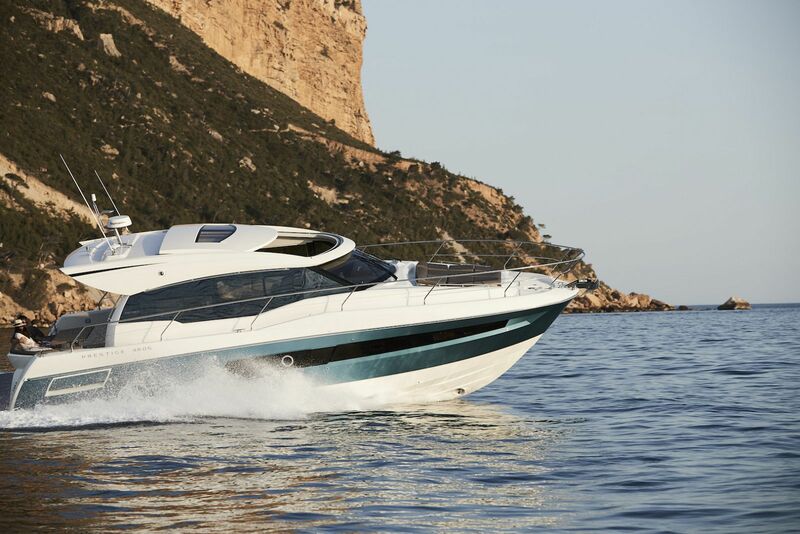 The new Prestige 520, dubbed ‘A Success Story’ by the manufacturer, has all of the best features of her predecessors, while incorporating several new innovations and unique styling. The extra-large Flybridge is massive compared to other 52-foot yachts in its class which gives you lots of room for lounging and entertaining. Well-thought out seating in the popular L-shaped configuration lines the salon while facing sofas and modular cockpit bench seating help the captain remain part of the conversation while sitting at the helm. And as the premier dealer for Prestige Yachts in the Northeast, Staten Island Yacht Sales has the unique ability to help you from factory to sea to service to re-sale. For the yacht owner that craves a little more speed without sacrificing the feeling of luxury, Prestige launched a line of express coupe’ sport yachts. Even the smallest details of the coupe’ model range are built with performance in mind. As one of the most popular model ranges in the Group Beneteau family, Prestige has deeply invested in the success of each model. There are now five coupe models including the 420-S, 460-S, 500-S, 520-S, and the 560-S. Each coupe is known for having the best performance and elegance in its class. 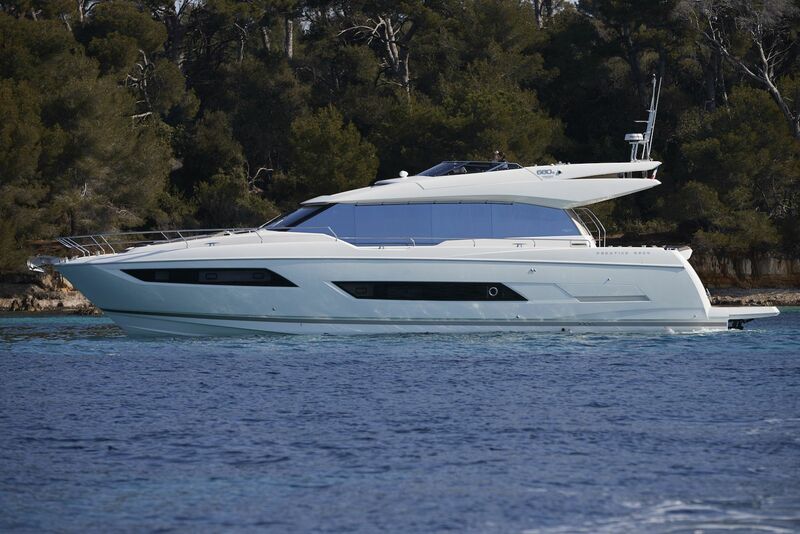 The new 460-S from Prestige certainly extends the coupe concept to something not normally seen in the marine industry. The lounge area is comfortable and bright. The sunroof and large sliding rear bay door provide ample air flow from aft to bow. In true Prestige fashion, the modular design offers multiple opportunities to arrange the seating to suit your needs as the new L-shaped cockpit can transform into a large sundeck area. Contact your Staten Island sales professional today to come and tour one of the Prestige express coupe yachts.